Since his girlfriend was beaten to death by a biker gang, Yamato Souhei has driven himself to become stronger and better at fighting. He's newly out of juvenile detention, and his friend Kijima helps him get back into life with a new job. His strength will be useful for the bouncer organization "Back Drop," which will make use of his abilities to provide security for clubs and other places. Before he even signs on with the company, though, he happens across a group of people beating a man to death. Yamato can't save the man, but he does see the face of one of the attackers. Along with his new job as a bouncer, it looks like Yamato has become involved in a dangerous cycle of violence. Enoku Daigoro, Tokoro Chacha, and Kiyose Kai were in film-making club together in middle school. Now that they're going to high school together, they're determined to start up a new film-making club for their high school years! On their first day, they learn about another new student, Kotohiki Sakura, a cute girl who is constantly surrounded by crowds of adoring guys. Enoku has more interest in films than girls, but he thinks she and her popularity could be a great addition to the club. However, when he sees her for the first time, he notices that she has a halo and angel wings! No one else seems to see these things, and his comments about her appearance are taken as a love confession. Enoku and his friends are determined to invite Sakura, and maybe her gatekeeping friend, Yachiyo, to join the club they're about to found and make films together! This manga is a 4-koma about the comedic daily life of the staff of a radio station. The characters include a voice actress named Chitose Sawatari, an announcer named Sae Koisikawa, a producer named Ayako Kazami, a director named Aizawa, a mixer named Fujita, and businesswoman Rin Nikaido. 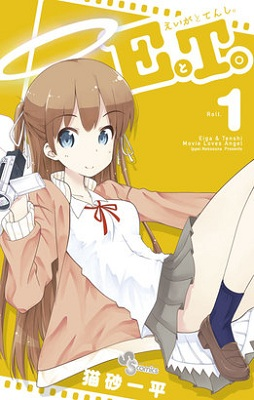 Eiga-to-Tenshi is a cute school life story, with a little touch of supernatural in the girl's possible angel status. 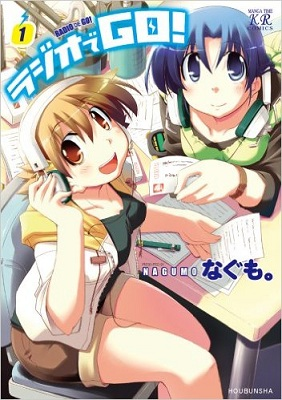 Radio de Go is good for people who like 4-komas, and who might be interested in radio stations. Bounce Out is a yakuza/delinquent-type story. So far it was pretty exciting. I think all of them this week are completed stories (though I have not read all volumes), so you'd know what length you're getting into from the beginning! E.T. - Eiga to Tenshi. - If you like school life manga with a little supernatural thrown in and want to know how an angel would act around high school students, then you might like this short manga. 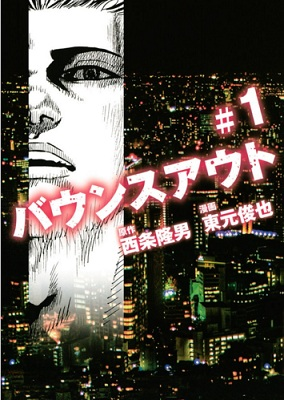 Bounce Out - On the other hand, if you're more in the mood for violence and are tired of the regular delinquent school-type manga and want a different take on it with a story about a bouncer at a club, then you might want to check this manga out. Radio de Go! - The final manga this week is a 4koma, so if you're in the mood for comedy and like to see the background at what happens at a radio station, then this may be more your style. If you haven't done so already, check out the scanlations of the manga from previous shout outs which have been recently scanlated: psychological drama Shibito no Koe o Kiku ga Yoi (MH link), action-filled horror Chimamire Sukeban Chainsaw (MH link). Copyright (c) 2007-2017 by MangaHelpers. All rights reserved. All times are GMT . The time now is 03:57.